Full pricing available by Doctors request. 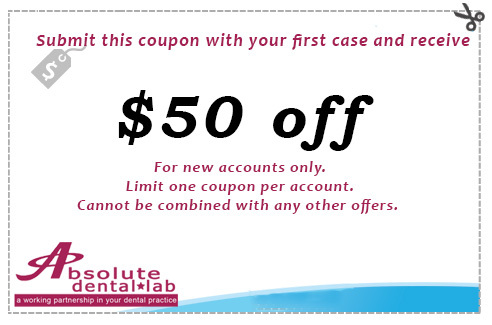 With active account status and proof of fabrication in our laboratory, Absolute Dental offers a lifetime guarantee on all crowns and bridges. For partials and denture repairs and remakes, the guarantee is for one year from proof of fabrication for work originally made in our laboratory.